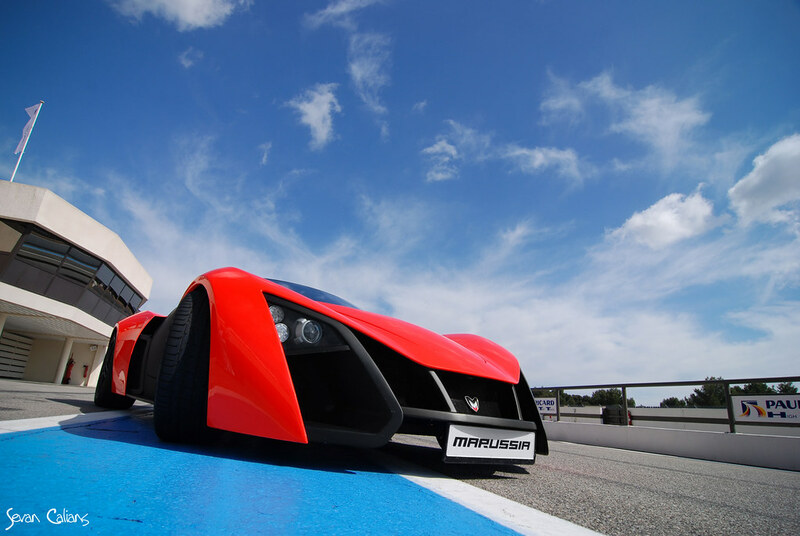 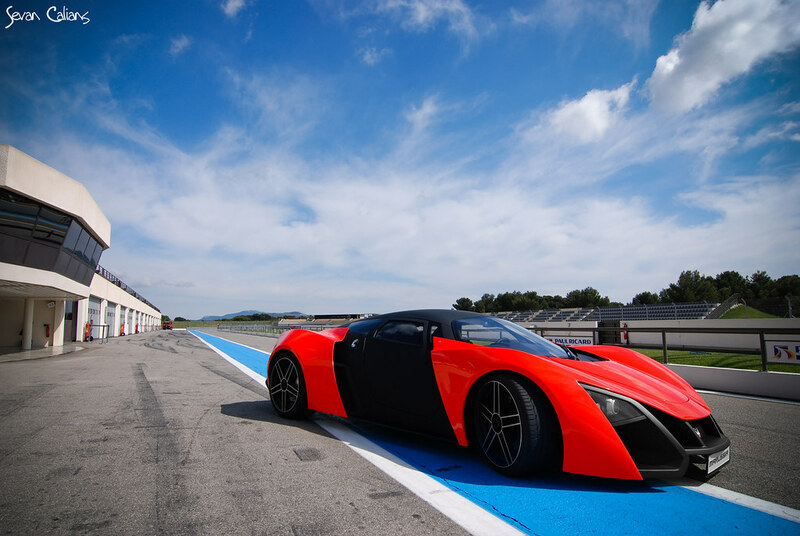 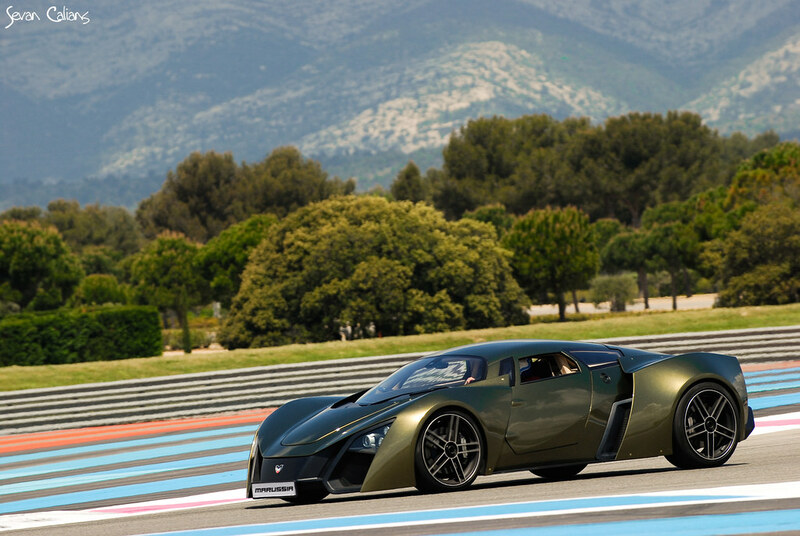 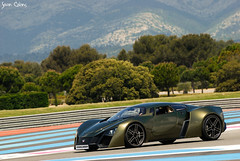 The first Russian sports car manufacter Marussia took his two stunning models, the Zondaesque looking B1 and the amazing B2, to the the Paul Ricard circuit (officially named PAUL RICARD HTTT) to allow some of its clients to test the car abilities round the track. 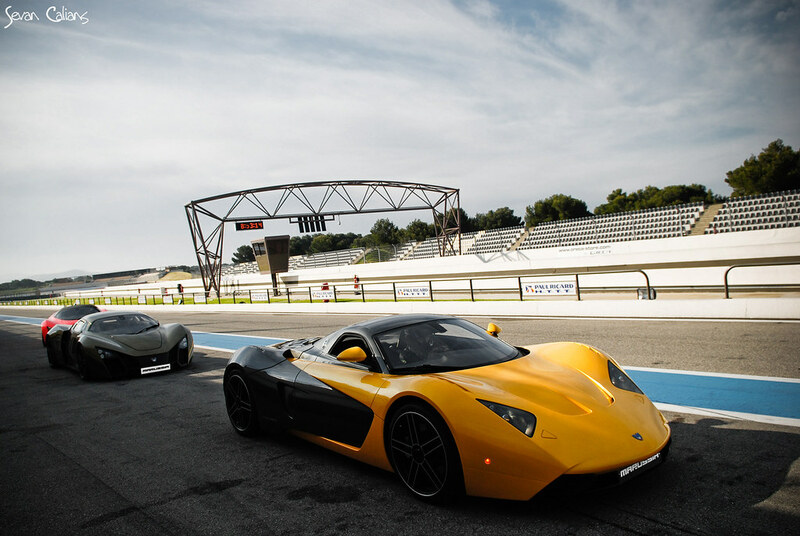 And for the occasion, they also released these fantastic shots taken by photographer Sevan Calians. 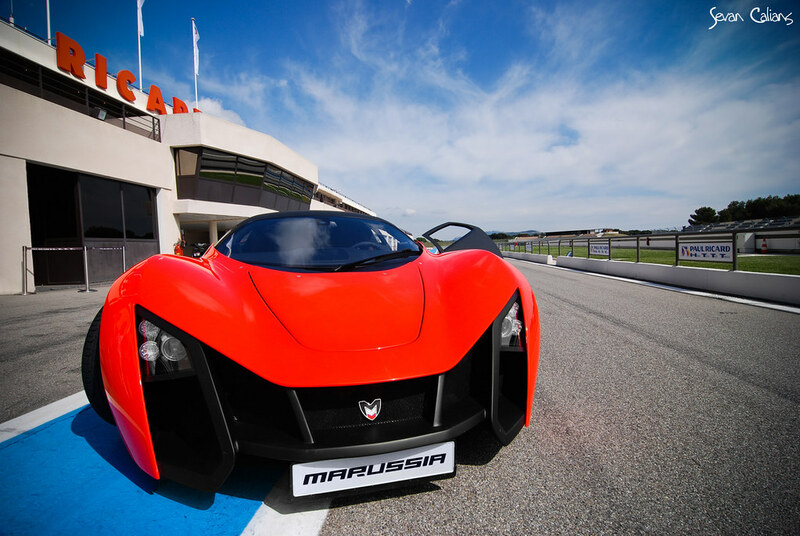 The Marussia's are equipped with the same 3.5L naturally aspirated V6 that produces 300 Hp. 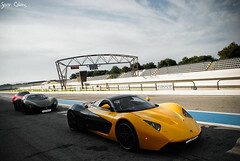 That's not a huge amount of power but the 1100 Kg (2425 pounds) weight should help the cars do the 0 to 100 Km/h (62 mph) sprint in 5 seconds and have a top speed that exceeds 250 Km/h (155 mph).